Elizabeth works both as a massage therapist at the practice and patient care for Dr Buik. She is a strong believer that chiropractic care can improve or reverse many issues that other doctors give up on. 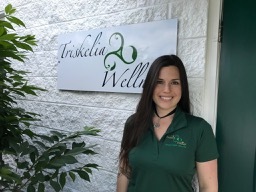 In her massage practice she specializes in deep tissue but is also does cupping, Swedish, neuromuscular technique, lymphatic, and reflexology. Max serves several important functions at the office, he is our Official Greeter and Director of Cuteness Operations. He is proud of his recent promotion to “Official Treat Inspector”. Max was hit by a car in October 2016, forcing him to lose his leg and has become a real inspiration around the office for overcoming obstacles. He himself is a chiropractic patient and loves how frisky he feels after being adjusted! 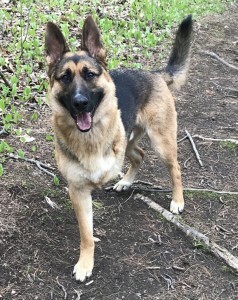 Favorite past-times are napping, playing with his foot ball, going for adventure walks as well as chasing his brother and sisters. Whether you are looking to escape from pain or stress, Nick has a solution for you. 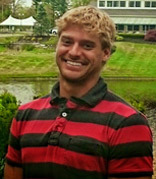 He is certified in Cranial Sacral Technique and has his Medical Massage Practitioner License. As a certified personal trainer he has a deep understanding of the mechanisms of the body. He has a unique ability to trouble-shoot your issue through massage, stretching and a change in ergonomics or training to get you feeling better fast. 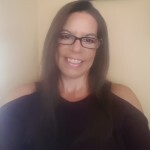 Wendy is an intuitive Wellness coach and Energy Worker specializing in lifting you up to your potential and higher self. She believes in the Power of Positivity and possessing a positive mind-set to enhance our over-all health. She is certified in Usui Reiki and Integrated Energy Therapy (IET). Wendy’s mission to help others find their bliss and help them heal, Mind, Body & Soul so they can live a soulful, vibrant life. She feels her purpose is to lift people up to their potential and help them achieve optimum wellness in all areas of their lives. As a healing practitioner, Wendy strives to make her clients feel whole and secure within themselves. Often, people develop the need for healing when a boundary has been violated or when their chain of good health has been broken by poor nutrition, illness, or lifestyle induced stress. She will help you regain your balance and put you back on your path to an abundant and passionate life. We look forward to meeting you and helping you achieve your greatest healing. Contact us today!